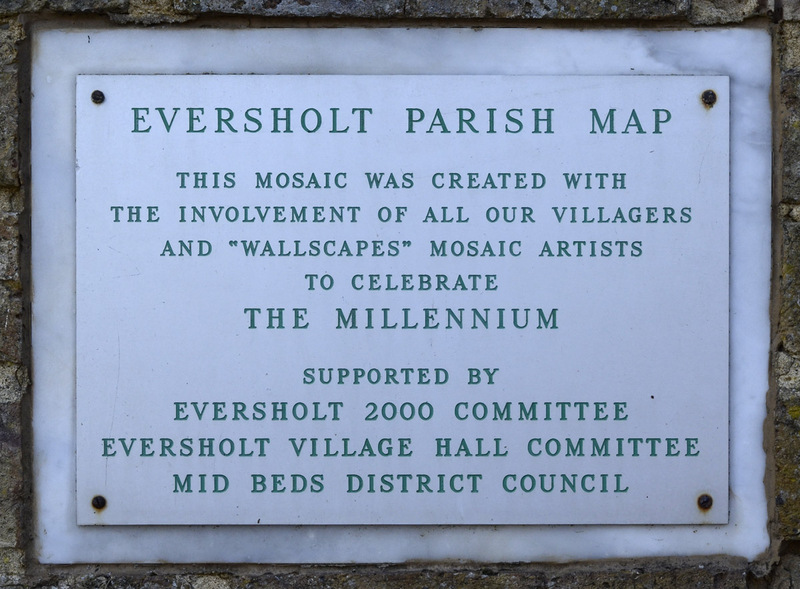 The mosaic map was constructed in the wall of the village hall as part of Eversholt’s celebration of the millennium. A commercial company was hired to organise it, and they involved many people in designing and constructing the finished product. 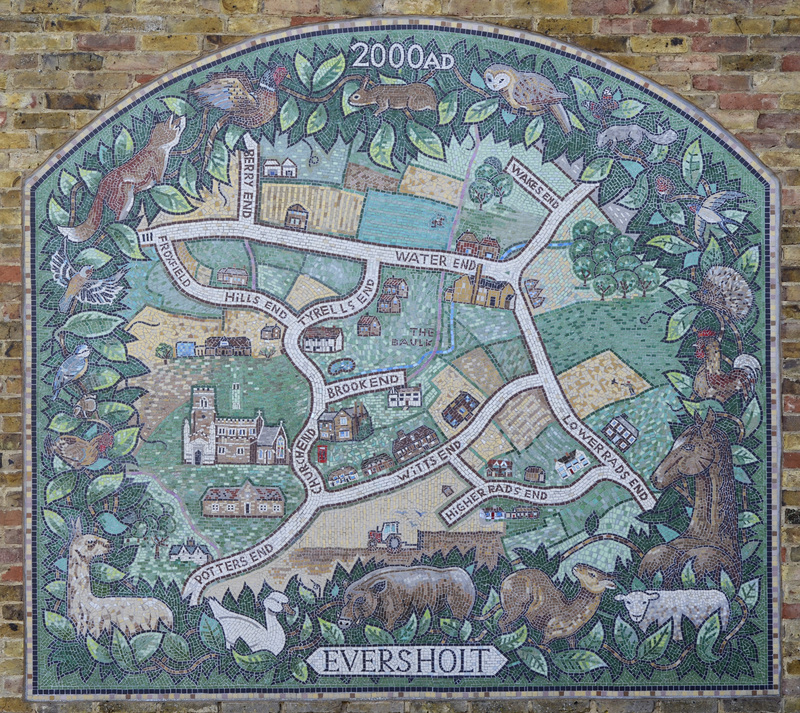 The animals around the edge are all to be seen around Eversholt, except the llama (or is it an alpaca?) in the bottom left. in 2000, the Jayes lived at Church Farm in Church End, and they kept alpacas or llamas in the fields behind the house. But the Jayes left and took the animals with them! 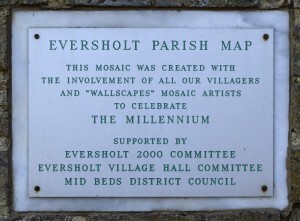 Plus, here’s the plaque that’s just below the mosaic. Emrys Williams took these photos in 2011 and places them in the public domain.